University of Houston biologist Michihisa Umetani, having discovered that a certain protein partnership acts to rapidly signal molecules inside blood vessels that danger is upon them, has been awarded $382,500 by the National Institutes of Health. It will allow him to examine how to target the Liver X Receptor (LXR) for new medicines that could encourage the receptor to do its job more consistently in the prevention of atherosclerosis, or fat buildup inside the arteries. 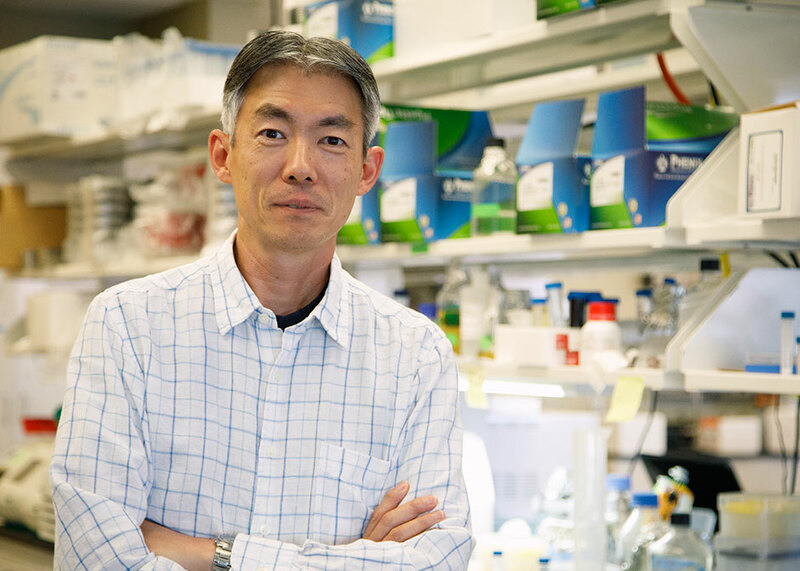 Michihisa Umetani discovered that the nuclear receptor LXR protects the cardiovascular system by activating another family member, the estrogen receptor. LXR is one busy molecule. Its main function is to regulate lipid metabolism, which is the process of breaking down or storing fats for energy and maintaining proper cholesterol levels. It seems to link together cholesterol and the estrogen receptor. In addition to their roles in reproductive tissues, estrogen and its receptor are known to protect the vascular system. In the past, drugs developed to activate LXR to be on continuous patrol for reducing cholesterol and lowering blood pressure, had severe side effects including causing a fatty liver. “If we could make a drug that just works on LXR through the estrogen receptor actions, we could avoid the side effects and creation of the fatty liver,” said Umetani, who is working to find the precise target for such a drug. Umetani also explored the vascular endothelium, the inner lining of blood vessels. Disruption of the lining plays an integral role in the initiation of vascular inflammation, which leads to many cardiovascular diseases. He found that LXR plays an important role in maintaining vascular stability, including the acceleration of blood vessel repair and release of nitric oxide, a molecule considered to be atheroprotective, or protective against artherosclerosis. “The potential roles of LXR in vascular endothelial cell function was unknown until our recent report. Therefore, new therapeutic approaches targeting only the beneficial aspects of LXR function are needed,” he said.